The year is coming to a close and most of us will enjoy extra time off with our friends and family. As we celebrate the holidays, please remember the members of our TASFAA family who are in need of our support this holiday season. First remember those facing medical issues. Those include Furmonte’, son of Gwen Fleming, former TASFAA secretary from TCAT Ripley. Furmonte’ suffers from asthma and went into the hospital with a collapsed lung in September. He has undergone several surgeries and remains hospitalized with multiple complications. Next, our friend Mike Jones from TSU remains in a long-term care facility after a major scare with his heart. Also, Craig Harris’s infant daughter Emery has undergone heart surgery and may face more over the coming months. Craig was a long-time TASFAA member working for several different sponsor partners. In addition, Vic Lemons, husband of Jamie Lemons, One-Stop counselor at UTK, is battling lupus and pancreatic cancer. Last, Robbie Snapp from MTSU has both undergone knee replacement surgery and faced medical issues with her mother. All of these folks ( as well as anyone I may have missed) could use a little TASFAA love this holiday season! We have also recently seen the passing of some dear members of our TASFAA family. In the past few weeks, we have lost Wayne Fletcher, founder of Wayne’s Barber and Beauty School and husband to TASFAA member Melissa Fletcher, Bill Grizzard, the “Pickle Man”, longtime sponsor partner and TASFAA friend, and Tom Zminkowski, former First Tennessee, TSAC and USAF employee. As I reflect on 2014 and the first half of my TASFAA Presidency, I couldn’t be more proud of our state and our members. For those of you who were able to join us for dinner at FSA, it truly felt like a family meal. As member of TASFAA, we aren’t just colleagues; we become true, lifelong friends. Thank you for this opportunity to serve, I am both humbled and grateful to be a part of this wonderful organization. Enjoy the season and all my best wishes to all of you for an incredible 2015! I want to be sure you are aware of our upcoming webinars covering important information about the October 10 – 12, 2014 Sallie Mae and Navient transition. While we became two separate companies in May, we will be officially separating our operations and systems soon. By attending one of these webinars you will learn about changes to the way you will work with Sallie Mae including how to contact our new School Assist team, how to use OpenNet and access reports from our Document Direct (DDI) tool. You will also learn how to access account information using Navient’s School Servicing Portal as well as reports on Navient serviced loans. We will also share with you what to expect on the transition weekend. This webinar is ideal for members of your financial aid staff as well as the business office. Please go to SallieMae.com/schoolresource to register. There are several dates available so I hope there is one that fits your schedule. Please feel free to contact me with any questions you may have. We survived August and we’ve almost made it through September! 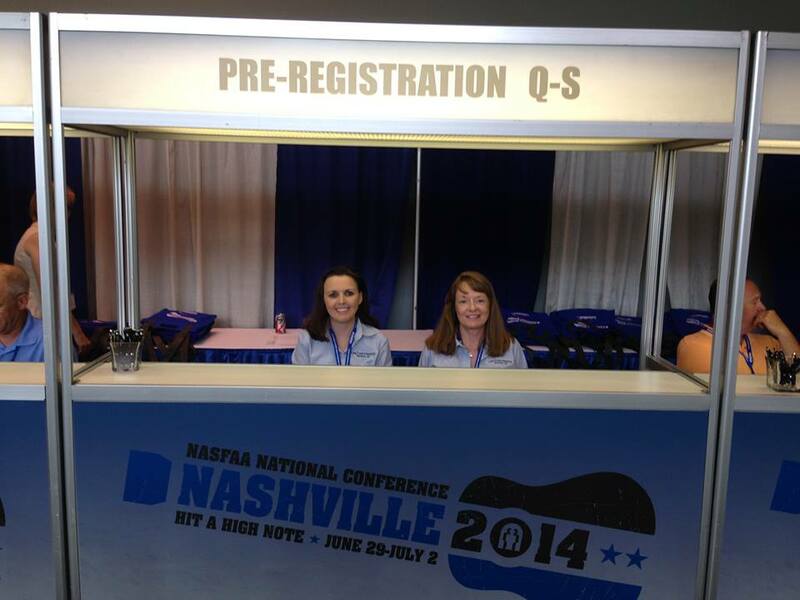 As our offices are slowing down (at least a little) TASFAA activity is gearing up! We hope you will be able to join us for the Fall Training Series October 7,8 or 9. Larry Rector and the Training Committee have worked hard to put together a jam-packed agenda, full of the updates and information you need. Our friends from TSAC will be joined by the incomparable David Bartnicki. If you have not yet registered, space is limited!! Please note that we have already moved the East location to Johnson University, in order to accommodate more attendees. Register today at http://tasfaatn.com/Fall. 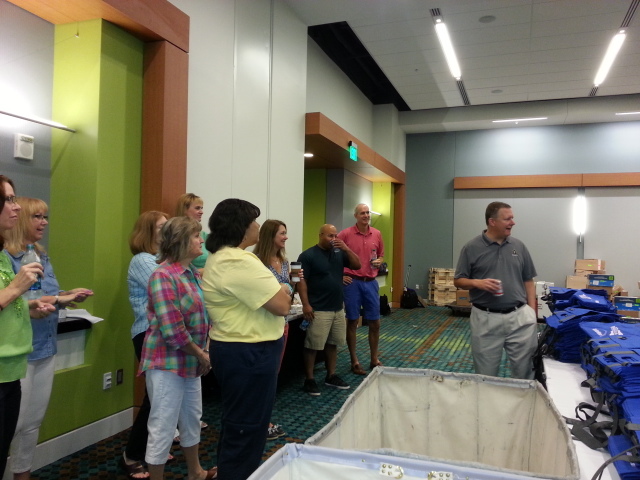 Your TASFAA Executive Board and 2015 Conference Committee will also be meeting in October. You will soon see the “Call for Sessions” from Conference Chair Leah Louallen, so please let us know what you would like to see at our April conference! TASFAA is about YOU, so tell us what type of training you need! Last but not least, Financial Aid Appreciation Day is Wednesday, October 15. We want to see our TASFAA family celebrate! Send us pictures and let us know how you celebrate all the hard work you do for students and parents! Pictures can be posted to our Facebook group or emailed to administrator@tasfaatn.com. Registration is now OPEN for the TASFAA Fall Training Series, sponsored by TSAC! We hope you will join us for a day packed full of updates and information from our friends at TSAC and the incomparable friendly neighborhood “Fed”, David Bartnicki! Register online TODAY at www.tasfaatn.com/fall . We looking forward to seeing you October 7, 8 and 9! Are you meeting administrative capability requirements? Are you ready for an audit or program review? Does your staff know the policies and procedures necessary to ensure proper compliance? Your Policies and Procedures Manual is the first thing ED will want to see. This session makes sure your office has well-defined policies and procedures are in place. A thorough manual can also serve as a step-by-step guide for staff members. Return of Title IV (R2T4) doesn't have to be daunting. This session walks through a clock-hour example to help you understand what it is and when it applies so you can effectively counsel students and help them make informed decisions about withdrawing from school. If calling delinquent borrowers is part of your default prevention strategy--or should be, this webinar is for you. Through the use of role playing, this session will help increase your comfort level, teach you how to handle common objections, and how to ask for a payment without coming off as pushy. Default prevention results can be achieved when a plan is developed and executed properly. Do you know how to create an actionable 12-month plan that reaps results? If you’re like many schools, developing a plan requires time and resources that may be limited. During this session we will show you how to put together a 12-month action plan that is manageable. We’ll walk through the plan month by month, demonstrating strategies that you can deploy to help you manage default rates and reap results. Does your front line staff know how to deal with difficult situations in positive ways? This webinar will demonstrate proven techniques for diffusing conflict while providing great customer service. The financial aid process can be frustrating and emotionally challenging for both parents and students. This heightened anxiety can play itself out in the aid office when parents and students direct anger and frustration at counselors or front line staff. Your teams’ ability to diffuse a difficult conversation and create a problem-solving approach is crucial to your customer service effort. Shannon Patterson, M.S., Instructor in Business Administration and Conflict Management at Argosy University. Financial aid offices are using social media to communicate important financial aid information to students. Do you know how to balance FERPA protection with this public communication medium? As you build your social media communities and encourage students to follow you, your office also needs to ensure your strategy is FERPA compliant. This interactive session will provide specific guidance on what can and cannot be posted and how to respond to students who post private information on your page. · FERPA, friends, and followers – what are the issues? · School posts vs. student posts – how and when does FERPA law apply? The choices borrowers make with their student loans-both positive and negative-are reflected on their credit reports. Do you know how to explain the credit reporting cycle to your students? This session will walk through the credit reporting cycle to demonstrate the effects of timely loan payments, as well as the impact of delinquency and default on long term credit history. Attend this session to learn ways for educating your students. Are you a new Financial Aid Director or aspire to be one? New aid directors face unique challenges in their first days on the job. This session will help you successfully transition to your new role. Learn the basics of financial aid and gain an understanding of how different programs work and how financial need is determined. This session will review how students apply for financial aid and how the Free Application for Federal Student Aid (FAFSA) fits into the application process to help you better respond to the needs of your students and help them see that a college education is possible. Baffled by the complexities of verification? This session will give you the information you need to simplify the verification process into three easy steps. We’ll also define some common issues found during the review process and how you can resolve them. How is a student’s financial need determined? Learn how Federal Methodology is used to calculate a student’s Expected Family Contribution (EFC)undefinedand be able to calculate an EFC. You’ll be better prepared when making financial aid awards. This session reviews how the database matches following FAFSA completion impact student aid eligibility and what you can do to help resolve any issues that arise. Leave feeling confident about resolving C-codes and conflicting information. Get a comprehensive overview of the FAFSA. This session steps you through the FAFSA line by line. We’ll help you feel comfortable assisting your students so they can correctly complete this crucial first step to receiving federal financial aid. Learn the basic details of the different federal loan programs so you can better understand, process, and encourage your students to make good borrowing decisions. New regulations may impact your students’ eligibility for funding. Do you know how to help borrowers understand the implications of the 150% Limit for Direct Subsidized Stafford Loans? Attend this session to review new regulations which limit Direct Subsidized Loan eligibility to 150% of a student's academic program length. Join us as we discuss ways to educate your borrowers. Protecting student privacy is paramount. Understand what needs to be included in your school’s Family Educational Rights and Privacy Act (FERPA) policy and gain a working knowledge of how to ensure FERPA privacy requirements are met in real-world scenarios. Consider this course not just an introduction to the basics of FERPA, but also an in-depth guide to understanding the rights of students and their parents regarding student education records. The materials presented have been vetted by our privacy specialists to ensure that you get the most accurate and comprehensive assistance available. Student employment provides a valuable resource to both the campus and the student. Does your office know how to maximize this resource? Attend this webinar to learn about the benefits you can reap from your student employment office, regulations for using Federal Work Study, and techniques for improving the overall student experience. Increased attention being paid to transparency in higher education has resulted in recent changes to consumer information regulations. This session will help you maintain compliance with a review of existing and new consumer information requirements. Social media platforms allow financial aid administrators to reach students where they already are. Whether your office is ready to launch a comprehensive engagement strategy or just wants to survey the landscape, there are ways to use social media as a boon to your office. Here are three tips gleaned in part from a 2014 NASFAA National Conference presentation, “Assessing, Developing, and Maintaining a Social Media Presence,” created by Justin Chase Brown, associate director of financial aid at the University of Missouri, Lenna Sliney, La Quinta Fellow with Blue Star Families, and Melissa Niksic, marketing communications specialist at Loyola University, Chicago. 1. Active Listening: Any user can tune in to social media to survey the current and prospective student landscape. On Twitter, for instance, you can easily search by keyword (your institution and financial aid, for example) to see what users are saying. It can be a great way to gauge students’ perceptions of the financial aid process, Brown said during his conference presentation. It’s also a way to use social media without committing much time, effort, or resources, Sliney said. 2. Information Sharing: If your office is ready for the commitment, social media platforms also offer quick ways to connect bulks of students with information. Just one post on Facebook or Twitter has the potential to reach many students. Financial aid offices can coordinate social media posts with the academic year, sharing FAFSA information in January and again before filing deadlines, for instance. Aid professionals can maximize the reach of informative posts by coordinating online events, such as a Twitter chat or Google Plus Hangout. Publicize a designated time period (say, an hour) for social media users to tune in for updates and information. Offices should set a clear strategy before beginning to communicate via social media, the conference presenters said. No communication at all is better than a half-hearted, public effort that is soon abandoned. 3. Strategic Engagement: Social media platforms offer multiple ways to engage with other users – often without even typing a word. On Facebook, it’s a like or share of a post, while Twitter users can favorite or retweet. Instagram users can approve of photos, and Pinterest aficionados can pin posts. Offices with active accounts should set a strategy for what to engage with, even peripherally. For the well-prepared office, social media channels like Twitter and Facebook also offer an avenue to respond to comments or concerns. A student who tweets his or her frustration with their budget, for example, might benefit from a link to the university’s personal finance information sessions. Be ready to take conversations offline, however, when the situation demands it. Personal information, for instance, should never be discussed via social media. Not only has the weather been heating up, but our members have been burning up the regional and national financial aid scene! First, several of TASFAA’s own attended the SASFAA transition meeting in St. Pete Beach, Fl. 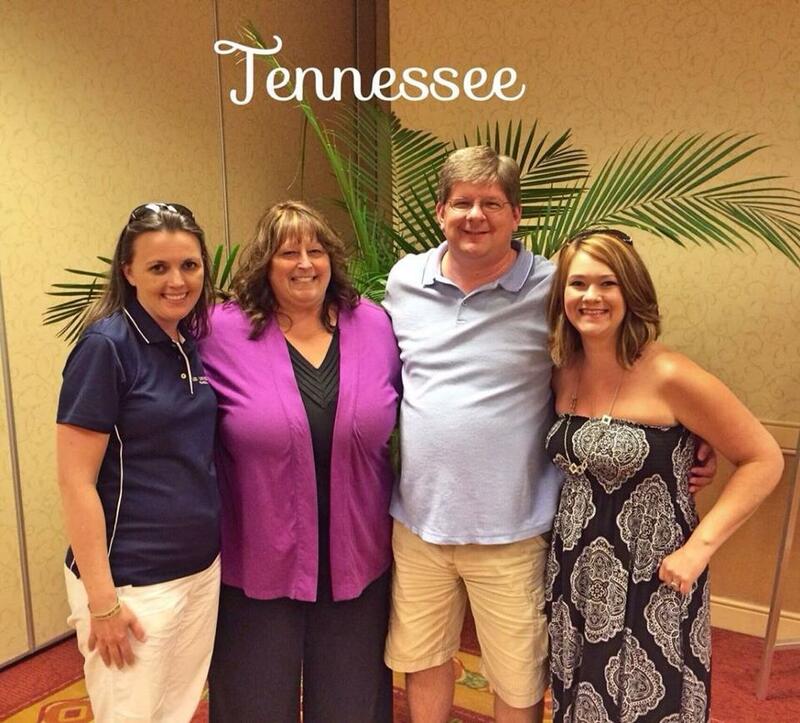 Tennessee will have several members on our southern regional association board this year. TSAC’s Terri Parchment will be serving as SASFAA Budget and Finance Chair, Marian Dill from Lee University is the new SASFAA Vice President and I will be taking over for Jeff Gerkin as the state president representative from Tennessee. Next, TASFAA was proud to send our FIRST Clyde Walker Professional Development Scholarship recipient to the SASFAA New Aid Officers Workshop, Destini Burns from Tennessee State University. 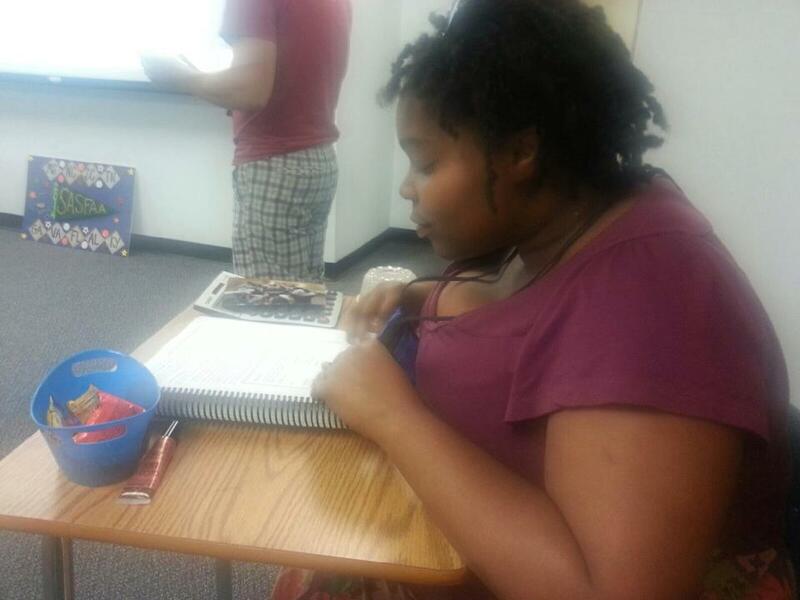 Destini reported that it was a great experience and “a blast”! David Haggard from Bryan College also represented Tennessee as one of the NAOW presenters. Most recently, Tennessee played host to our national conference. Brent Tener from Vanderbilt served as the conference chair for NASFAA and helped provide a wonderful training opportunity for approximately 2500 financial aid officers from across the United States. Vandy’s Karen Hauser served as local arrangements chair, with TASFAA members Charles Harper (Belmont), Melissa Smith (Vanderbilt), Tanaka Vercher (TSU), Cara Suhr (TCAT Nashville) and me (UT Knoxville) serving on the committee. Many, many, more TASFAA members stepped up as volunteers at registration, the information booth, packet stuffing and the hospitality suite. Thank you to everyone who helped to show the NASFAA folks why we are known as the volunteer state!! Last but not least, we would like to congratulate Deidra Cummings from Lipscomb University for serving on the NASFAA Graduate & Professional Issues Caucus. Gain a deeper understanding of preparing students for repayment. This session will cover borrower options for repayment and the consequences of default. You’ll come away with a thorough knowledge of loan basics that will help you educate your students on the impact of borrowing student loans. Staying in touch with borrowers who are struggling with repayment can help you minimize your cohort default rate. Great Lakes tools can help you with these important outreach efforts. This session will show you how to use our Borrowers at Risk report and Delinquency Letter Tool to connect with former students and steer them away from default. You’ll also learn how schools have successfully tackled specific default challenges using our tools. Are you a new director faced with completing your first FISAP this fall? Make the FISAP process more manageable by starting with a plan for collecting the data from your enterprise system. New aid directors faced with completing the FISAP (Fiscal Operations Report and Application to Participate) for the first time are often overwhelmed by the scope of the report. But the FISAP process can be made easier and less daunting if you start early with a plan for how and where to collect the necessary data. This webinar will provide a step by step review of the FISAP sections, guidance on how to collect data in advance, and advice for how to minimize submission errors. Heather McDonnell has over 30 years of experience in financial aid administration at both public and private institutions. She is an expert on federal processing issues and need analysis and an experienced financial aid trainer for NYSFAA, the College Board and EASFAA. What is the FISAP and why is it required? What data is collected on the FISAP and what does the Department of Education do with the data?